These items are only available in person at the Camp Store and not online or over the phone. We also have bug spray, sunscreen, toothbrushes and lotion available at the Nurse’s Station for campers to use as needed. Campers have a minimum of two opportunities to check out the Camp Store while at camp. Additionally, the Camp Store is open at Check In (Sunday 2pm – 4pm) and Check Out (Saturday 9.30am – 11.30am). You can add money (fund) your camper’s store account online with a credit or debit card via the green ‘View Accounts’ tab within their Mountain Camp account. Here you can also see the items they have purchased while at camp. Alternatively, you (or your camper) can fund their account during Check In with either cash or check (made out to Mountain Camp). 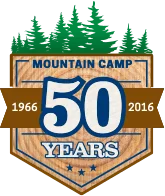 If your camper has a balance (over $10) remaining at the end of the session, it will automatically be donated to Mountain Camp’s Campership Scholarship Fund at American Camp Association unless a refund is requested. To request a refund please email info@mountaincamp.com. Recommended amount for a one week session is $40 – $60, and recommended amount for a two week session is $80 – $100.